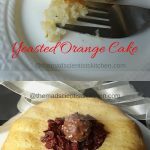 Yeasted Orange Cake is made not with baking powder as the leavening agent but with yeast. This cake soaked in syrup and served with generally with berries and whipped cream and is one of the most delicious cakes I have had. 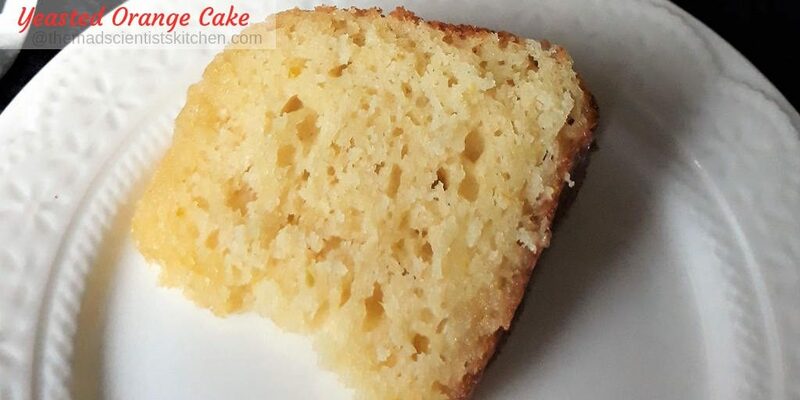 A cake, a well-known dessert in nothing but is modified bread! Yeast cakes are very old and are similar to yeast bread. The traditional yeast cakes are babka, stolen. In England, the difference between a cake and a bread were that the cake was round and flat. The cake was also turned over once while cooking. Yeast was discovered accidentally when the dough made from flour and water were left alone long enough for natural yeast to ferment the dough. Be thankful that the homemaker then did not throw out the fermented dough. Yeast is technically a fungus, yes in the same category as your mushrooms and is an integral part of bread making. The use of yeast has given us bread that has a light texture and soft crumb not taking in to account that the bread is delicious. In fact, longer the rise time better is the flavour. With the arrival of chemical leavening agents like baking powder, the world that depended on yeast went through a transformation radically. I for one did not know we could use yeast to make cakes. My education started with BienenstichKuchen/ German Bee Sting Cake, Cinnamon Chocolate Babka Muffins, Egg-less Slovak Paska Bread Easter Special then I forgot about my desire to search for more cake recipes using yeast. 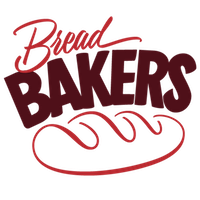 Thanks to Stacey this time for #Bread Bakers for whom I am hosting and we are doing yeasted cakes. This recipe is copied from King Auther Flour. My only problem with the cake was taht the syrup did not seep to the centre. Will try poking the cake and pouring the surup next time. Grease a 10” diameter bundt pan. Mix 3/4 cup of the flour, the yeast, sugar, and salt. Mix the warm milk and melted butter. Add the flour mixture gradually, mix for 2 minutes. Add the eggs, the remaining 1 1/2 cups of the flour, and the zest. Beat for 2 minutes vigorously. Add the dough in the pan and spread the dough evenly. Cover with a kitchen towel, and let rise for 1 hour. After about 45 minutes, preheat the oven to190◦C/ 375F. Bake the cake for 22 to 25 minutes, until a tester inserted into the centre comes out clean. As the cake is baking get the syrup ready by bringing to boil the sugar and water in a pan over medium heat. Simmer until the syrup thickens say 10 minutes. Add the orange juice, and remove from the heat. Brush half the syrup over the cake, and allow it to cool for 5 minutes. Turn the cake out onto a rack set over parchment or a pan. Brush the remaining syrup over the newly exposed bottom crust. Turn the cake right-side up onto a plate, and cool completely. Serve with whipped cream and berries. But since we had no berries available in this season not even grapes I have served it plain with dried cranberries. 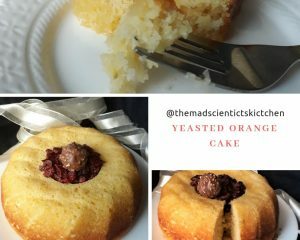 A cake baked with yeast as a leavening agent! Serve with whipped cream and berries. But since we had no berries available I have served it plain. We take turns hosting each month and choosing the theme/ingredient. Our theme this month is Yeasted Cakes. What an awesome texture you have got there. Loved your Orange Yeast Cake. Simply awesome. And thanks for Introducing me to this new world of cakes. Aww! Renu! So sweet of you. You would have discovered it by and by. But glad you liked it. I love the flavor combinations in this cake. A yeasted cake really does have a special flavor and texture. It’s really pretty, too! 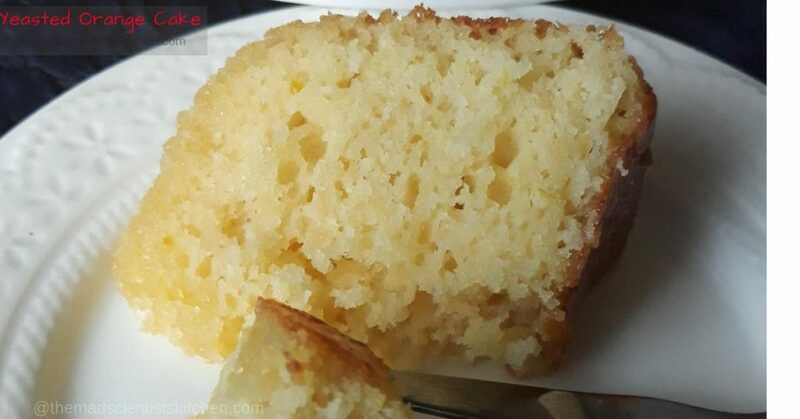 A perfect cake…the crumb looks so light and moist. This sounds delicious! 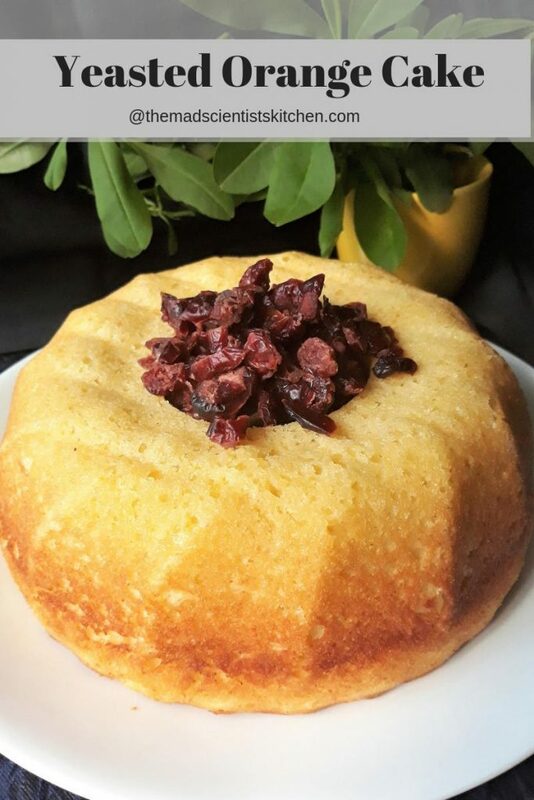 I love King Arthur Flour recipes, and I’m enjoying learning so much about yeasted cakes. Thanks for the great theme! Firstly, thanks for hosting the event and choosing such a wonderful theme. Every post was worth reading and learning. Your cake has a beautiful colour. it looks so citrusy and flavourful. 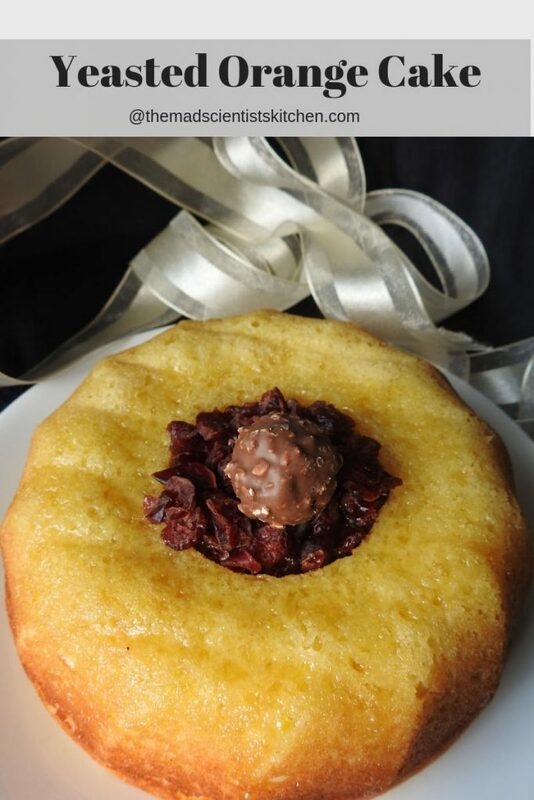 Decorating with cranberries and chocolate is a good idea! Love this cake, looks so delicious. Thank you for hosting this month. Love this cake. Looks so delicious. Your cake looks absolutely delicious. I love citrus in cakes, especially when a syrup is involved.